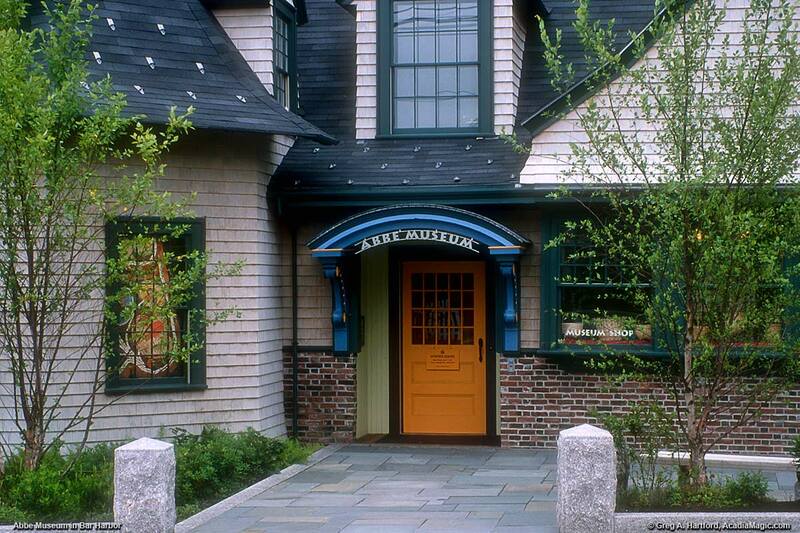 The focus of the Abbe Museum is on the Native American culture and its history in Maine. Today, descendants of this culture are known as the Wabanaki or “People of the Dawn” and includes members of the Passamaquoddy, Penobscot, Micmac and Maliseet tribes. The Abbe Museum was founded in 1927 by Dr. Robert Abbe and opened in 1928. It was one of the first museums built in Maine and is the only museum devoted solely to Maine's Native American heritage. Originally, it was conceived as a trailside museum and remains today as one of only two remaining private trailside museums in the National Park system. Abbe Museum's archaeological collections consist of more than 50,000 objects spanning 10,000 years of history, from the Paleoindian Period up to the present. Many are stone based tools such as knives, axes, projectile points and fishing weights; objects shaped from bone such as combs, needles, fish hooks and harpoons; and some of the earliest known styles of pottery in Maine. There is even a very rare, 3000 year old flute made from the bone of a swan. More recent collections include beads, copper tools, pipes, jewelry and more traditional arts and crafts such as woodcarving and basketry. 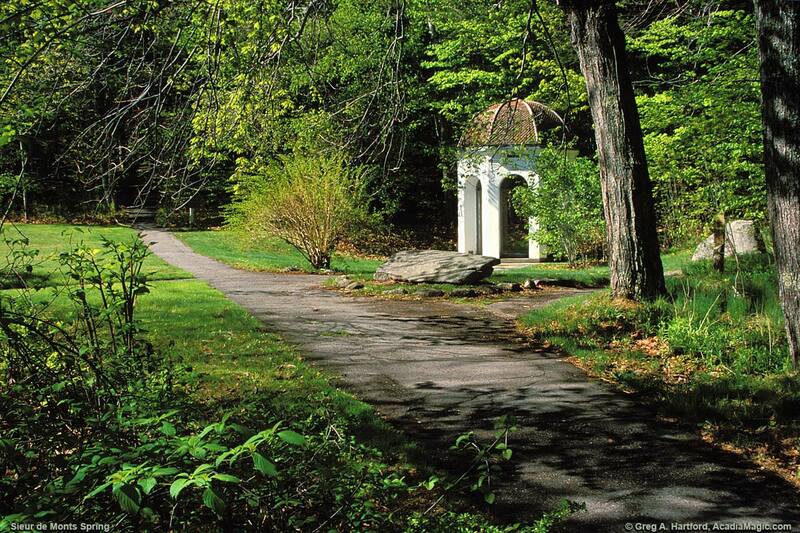 The Abbe Museum at Sieur de Monts Spring in Acadia National Park is open Memorial Day weekend through mid-October. 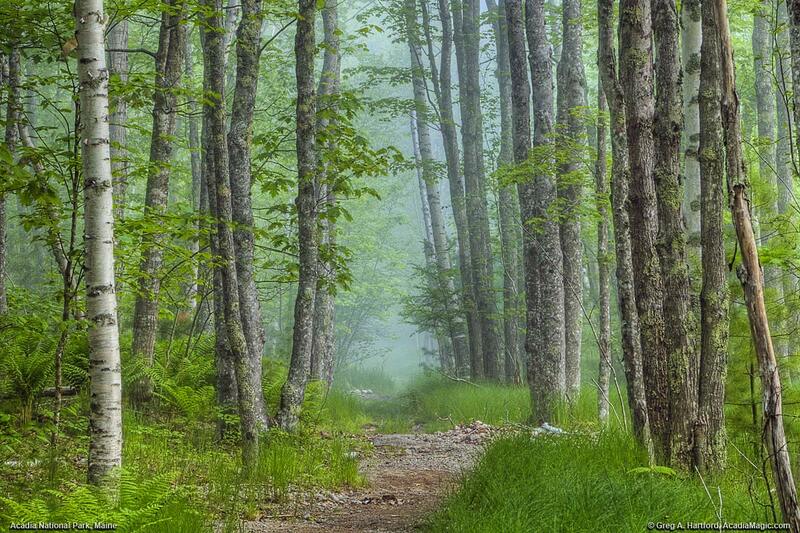 It is in a gorgeous woodland setting with paths and trails running through it. When you first drive into the parking area, it may not seem like much. But, trust me. ... When you get out and start walking around, a magical natural world unfolds which not only includes the Abbe Museum, but also the Wild Gardens of Acadia and the Nature Center (located in the brown building). There are nice quiet places to sit, relax, and take in the sensory splendor so take advantage of them. The Island Explorer Shuttle Bus has a pickup and drop-off point here. 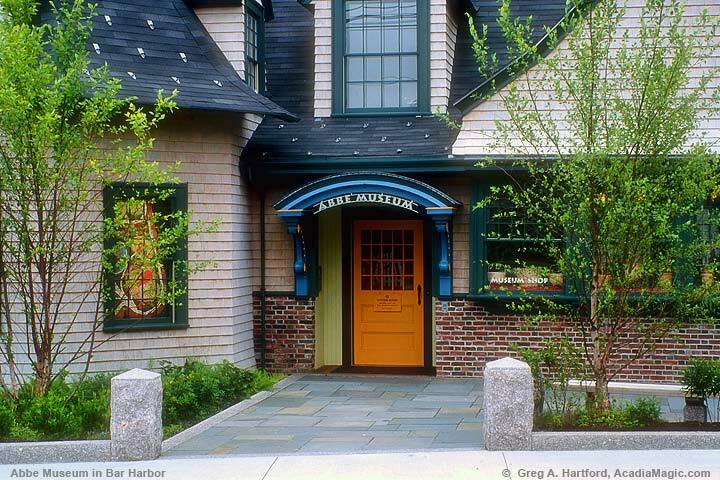 The new location on Mount Desert Street (Route 3) in Bar Harbor is called Abbe Museum Downtown. Besides having a spacious exhibition gallery, a hands on learning lab, and indoor and outdoor areas for special programs, a unique circular gallery called the “Circle of the Four Directions” is featured. Both Abbe Museum locations have shops offering an excellent selection of contemporary Native American arts and crafts and books relating to the Native cultures, history and archaeology. The Island Explorer Shuttle Bus has a pickup and drop-off point nearby. 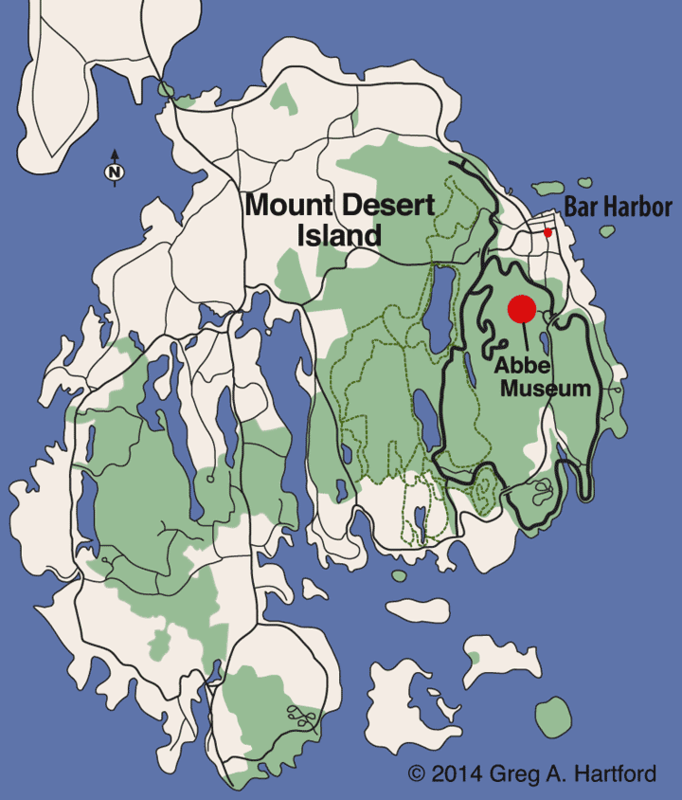 This map shows the location of the original Abbe Museum (big red dot) that is next to Sieur de Monts Spring in Acadia National Park on Mount Desert Island. The newer location in the Bar Harbor business district (tiny red dot) is at the corner of Mount Desert St. and School St. right next to the Village Green in the center of town. The true human history of Acadia National Park begins with Native Americans and there is no better place to learn about this heritage than at Abbe Museum in Acadia National Park and in Bar Harbor. This is a wonderful resource whose breadth and depth of materials and knowledge have been accumulated over many years by people of numerous disciplines. I highly recommend taking this journey of discovery and choosing to be supportive in the museums efforts to raise this great culture to the place in history that it has always deserved.